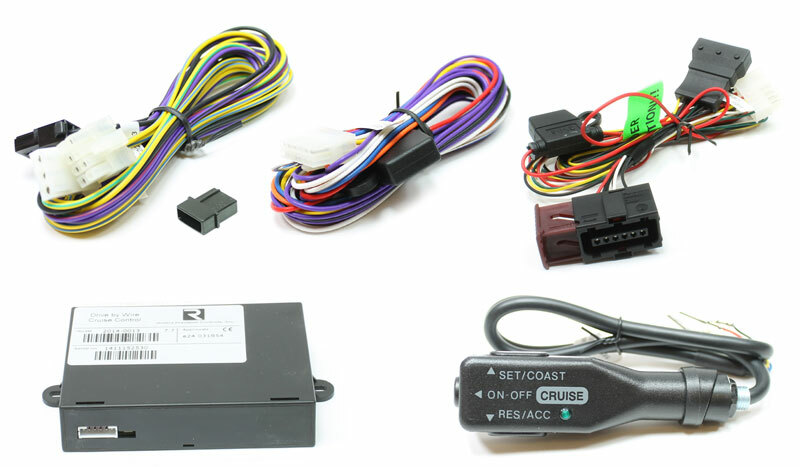 At Rostra, we manufacture a number of different add-on cruise control systems for cars, trucks and SUV's that include our universal Global Cruise control system, custom Global Cruise control system, multiple pedal bypass cruise control systems and various drive-by-wire cruise control systems that interface directly with a vehicle's built-in cruise control functionality. 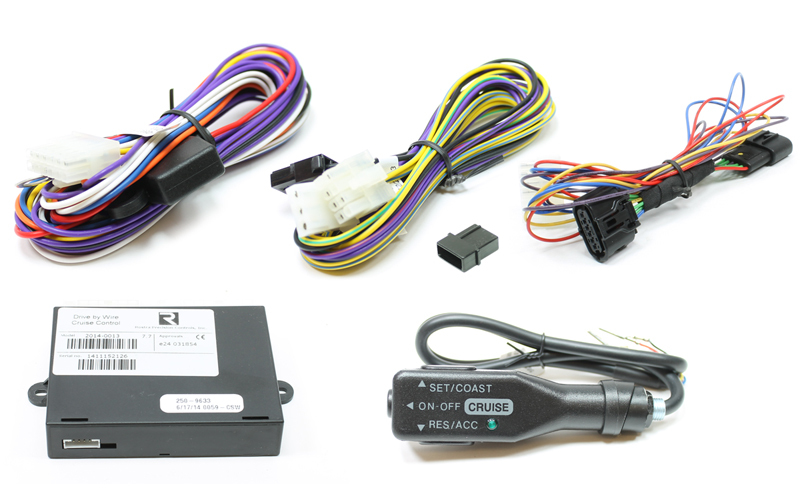 Custom pedal interface cruise control systems by Rostra are available for many popular vehicle platforms from manufacturers like Ford, Chevrolet/GMC, Dodge, Honda, Nissan and Toyota. 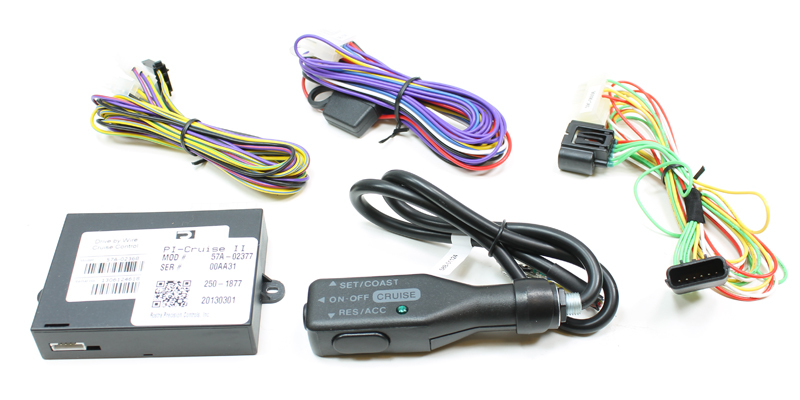 Each cruise control system is designed with ease of installation in mind and more often than not consists of hardware meant to be completely plug-n-play with minimal necessary electrical connections. 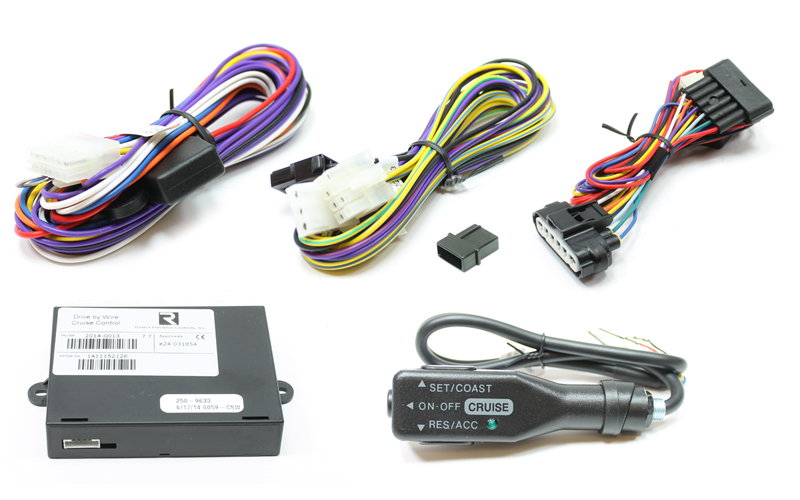 Custom pedal interface cruise control systems from Rostra and their associated adapters are sold through authorized product distributors throughout The United States and Canada, as well as through select international distributors in countries around the world. For purchasing information, or to locate a local retailer or installation facility, please contact us online or call our customer service department by dialing (800) 782-3379, Monday - Friday, 8:00 AM to 5:00 PM EST. To learn more about Rostra and our cruise control manufacturing facilities located in Laurinburg, NC, please click here. * All engines. Vehicle must have new body style and electronic throttle control. Note: The 2007-2012 Nissan Frontier now requires cruise control 250-9658. Note: The 2008-2013 Nissan Titan now requires cruise control 250-9659. * Vehicle must have factory radio installed for cruise control to function. * Cruise control 250-1867 is a substitute item for cruise control 250-1855 where a flat-mount dashboard switch is desired over a left-hand mount control stalk for the Honda Civic. Part number 250-1875 for the Subaru Impreza has been superseded by cruise control 250-9632. 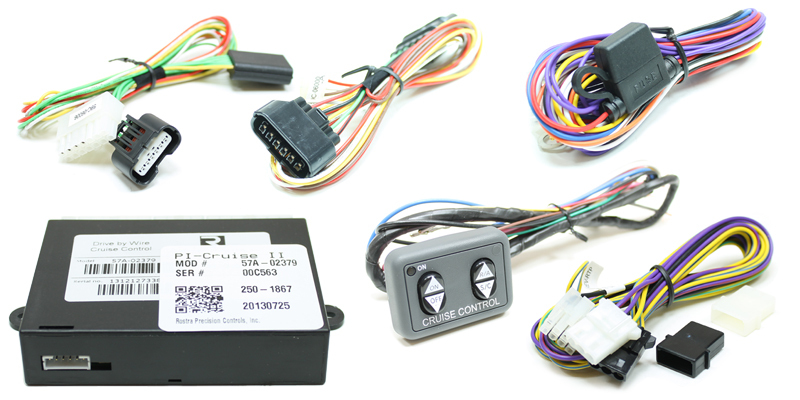 Rostra cruise control systems are only validated on vehicles available in the United States and Canada.